Asana by Closomat takes independent living into a new realm of style and enablement. Historically, assistive technology to support disabled and elderly people to live as independently as possible has either been purely functional, when developed for that purpose, or a compromise if sold into the disability market from the mainstream. 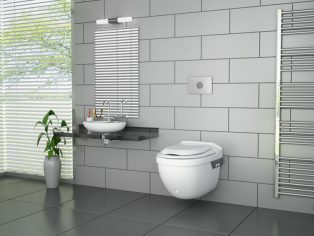 Closomat has always been the only manufacturer of wash & dry (automatic bidet) toilets that developed its solutions specifically for users with limitations. Now, it has combined the latest engineering advancements with contemporary design to launch Asana by Closomat. The wall-hung WC can function as a conventional toilet or, by appropriate selection via easy to reach push buttons on the side of the toilet, which trigger the flush, and eliminate the need to wipe clean by triggering of the integrated douching and drying processes. Asana by Closomat is helping contribute towards British manufacturing and engineering. The porcelain pan is fired in the first ceramic sanitaryware factory to open in The Potteries for almost quarter of a century. Even the flush mechanisms have been developed in Britain, in partnership with one of the UK’s leading plumbing names, Thomas Dudley. Asana also benefits from Closomat’s unique support offering- UK pre- and after-sales support, in-house installation and commissioning, and in-house service & maintenance. Asana by Closomat is complimented by a range of flush options and spray options, that will enable users to tailor its looks and function to their own personal needs. 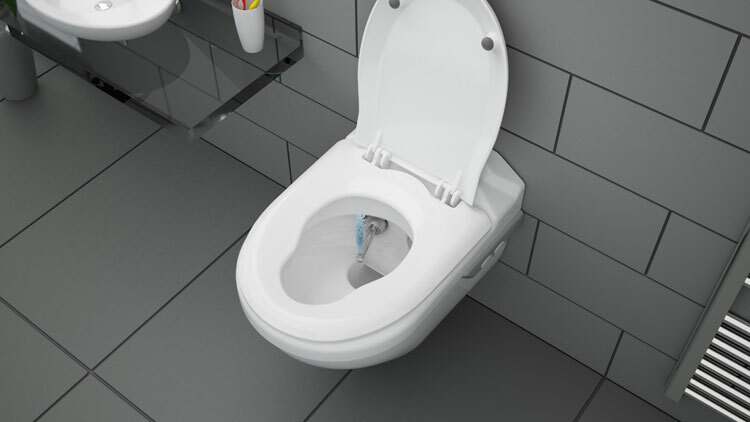 Closomat is the UK’s leading supplier of toileting technology for disabled and elderly people. Founded almost 60 years ago, and still family-owned, the company is unique in its provision, in-house, of design advice, supply, installation, commissioning and after-sales service & maintenance. Details of the Closomat’s assistive toilet care offeringscan be found on Closomat’s website www.clos-o-mat.com.